At Band & Wire Orthodontics, we realize that having white teeth as an essential element of a beautiful smile. 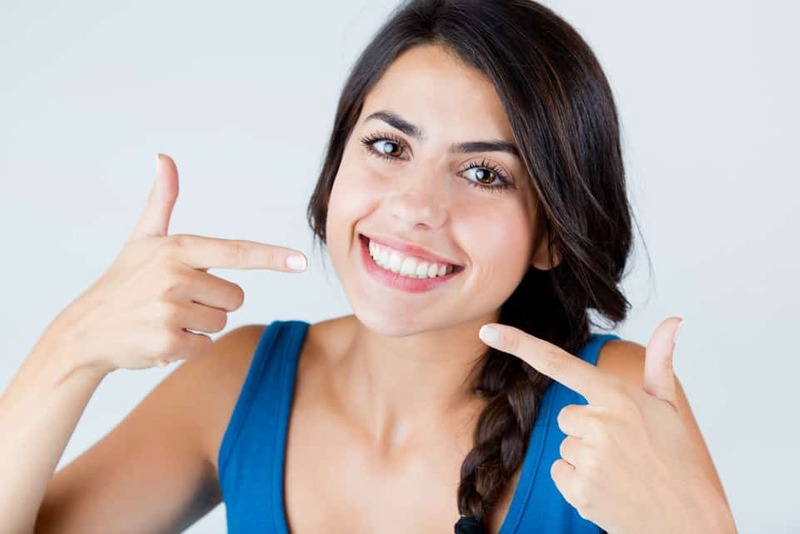 Therefore, we often incorporate dental whitening solutions with your orthodontic treatment. Dental whitening is safe, easy and effective. You no longer have to settle for yellow teeth just because you enjoy drinking coffee! In-office Philips Zoom Whitespeed is perhaps one of the most recognized names in the dental whitening world. It is one of the most popular and effective systems out there. First step is isolating your teeth from your gums and other tissues, after which the whitening gel is applied to your teeth. Zoom LED blue light accelerator is then directed to your teeth to activate the whitening gel. An in-office whitening session typically takes about an hour and results are often dramatic with an improvement of 6-8 tooth shades. Philips Zoom take-home whitening utilizes removable trays in which the whitening gel is applied. Zoom whitening gel can also be applied using Invisalign aligners which means you can straighten your teeth and whiten them simultaneously!